Copyright Notice: © 2018 Spin Master. All Rights Reserved. We take care of everything and our full service offering includes the copyrighted character costume, a trained performer and a Road Manager (minder) to accompany and assist the character. Need more information? Please visit our character events page to find out more. 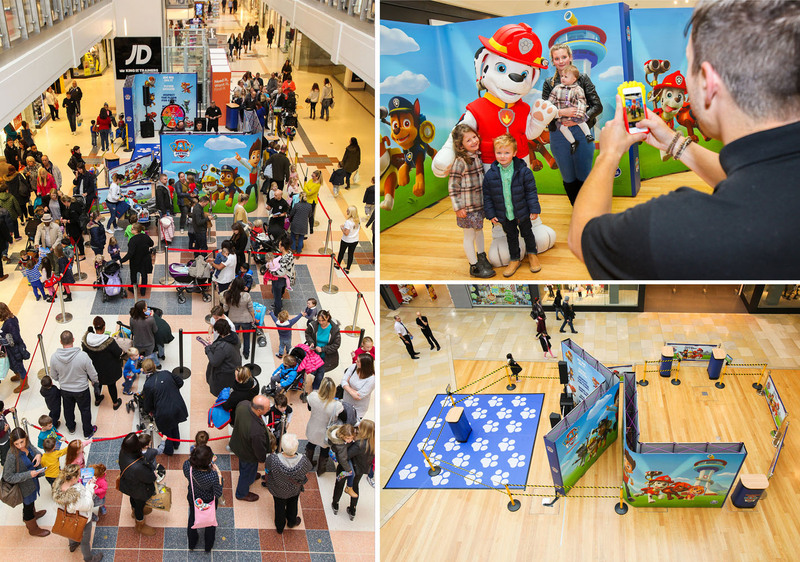 Kids all over the world have fallen in love with the canines from PAW Patrol. Like the other characters in the kid-friendly show, Chase, Marshall, Rubble and Skye are everyday heroes. 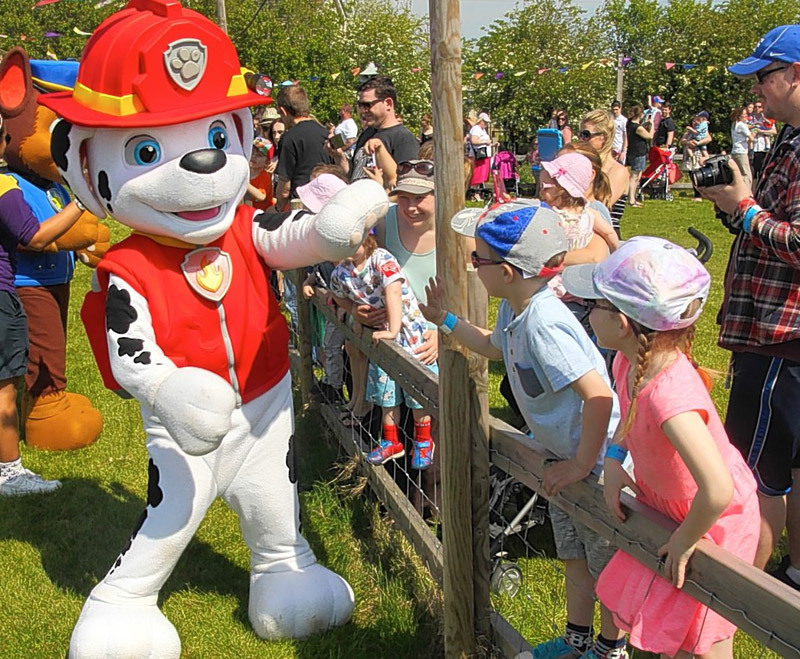 These rescue dogs are friendly and easily recognisable characters, making them a must for any event with children who are fans of the hit show. With official licenses for four of the most popular PAW Patrol pups, we can bring these characters to life and our experienced, professional performers will provide guests with an fun and authentic experience they won’t quickly forget! 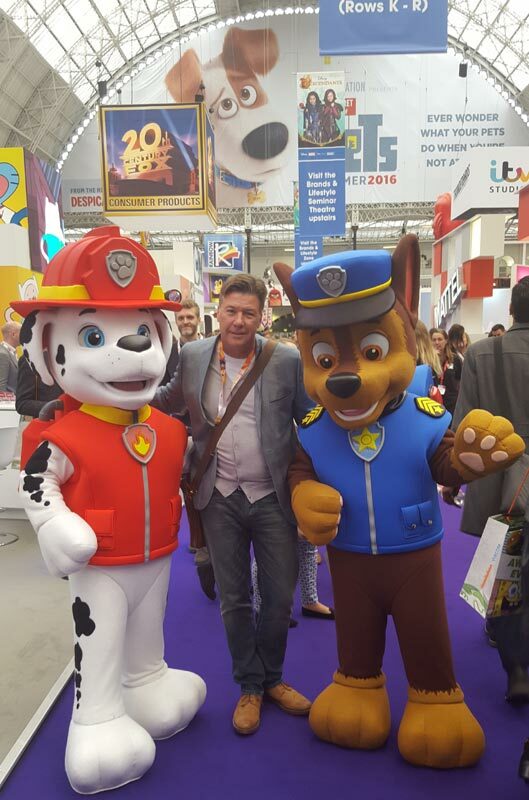 Why consider Paw Patrol mascot hire? Paw Patrol is a relatively new children’s franchise, and as such, it has a fresh legion of young fans. After premiering in 2013, PAW Patrol has become a hit with children of all ages. Kids are able to follow along with the canines as they keep their community of Adventure Bay safe and can learn essential problem-solving skills. Each pup has a job based on a real life professional career and each episode, kids learn important life lessons like the value of working together. Because it’s a relatively new children’s franchise, it has a growing legion of young fans. Characters from this award-winning show are easily recognised by young audiences and with four characters available for hire, you’re sure to please your audience by hiring their favourite. PAW Patrol has a broad appeal and a strong fan base, especially among younger viewers. If you really want to make an impact and lasting impression at an event, especially one for young children, hire one or more of these fun-loving, adventurous characters! Our goal is to provide guests an authentic, fun experience (especially for kids) by bringing their favourite characters to life. 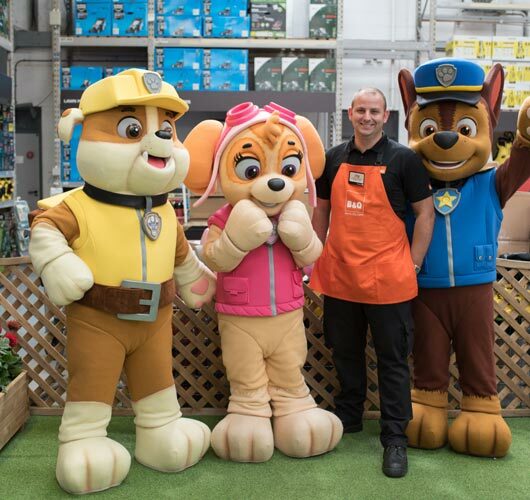 To ensure that happens, our PAW Patrol characters are accompanied by a professional handler at all times and will always ensure they remain in costume and in character throughout the event. With 100%, fully licensed costumes and trained performers, you can rest assured that you’ll be satisfied with your booking. 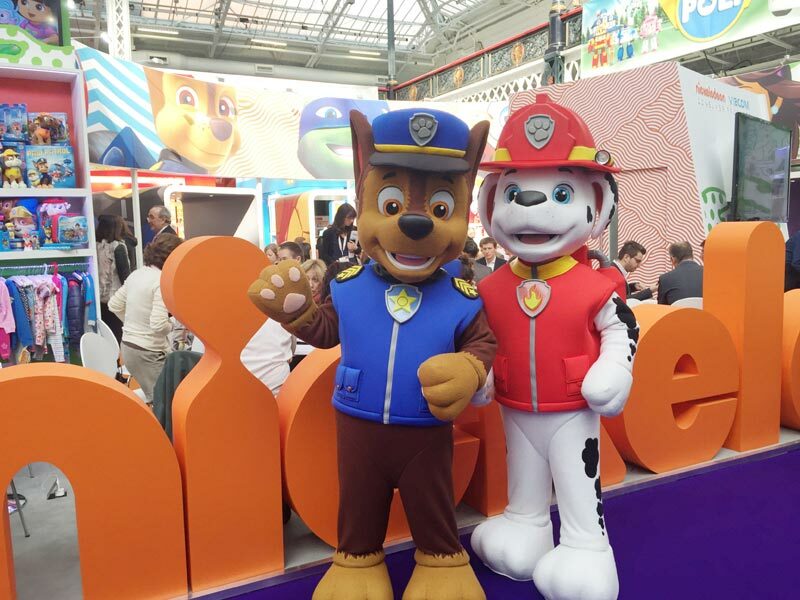 We will take care of everything, leaving you to enjoy the event with confidence that it will be a success and that your guests will love their experience with the PAW patrol characters. While every character in PAW Patrol is a dog, they each have their own distinct personality, interests and role in the show. Who’s your favourite? Skye is the adorable, 7-year-old Cockapoo who is always ready to fly into action in her helicopter or using the wings in her bright pink Pup Pack. She is a fearless daredevil who’s constantly telling her friends to keep up! Rubble is the youngest of this group at just four years old.The adorable English Bulldog is a handy construction pup and is an excellent digger. Rubble is very playful and loves to laugh. Don’t let his size fool you! He’s a strong boy. The PAW Patrol is made up of seven heroic puppies: Chase, Marshall, Rocky, Zuma, Rubble, Skye and Everest. Their leader is a 10 year old boy whose name is Ryder. The show teaches children about good citizenship, problem-solving and the importance of teamwork. PAW Patrol is from the creator of Bob the Builder, Keith Chapman. A fifth season launched in February 2018. Chase, Marshall, Rubble and Skye are available to attend UK events.